Knack 2 is a great game, certainly better than its predecessor. A lot of the credit for Knack 2 often goes to Mark Cerny, but I’ve personally always tried to give credit to Mark Cerny and his team. The action-platformer was clearly not a one-man development process. 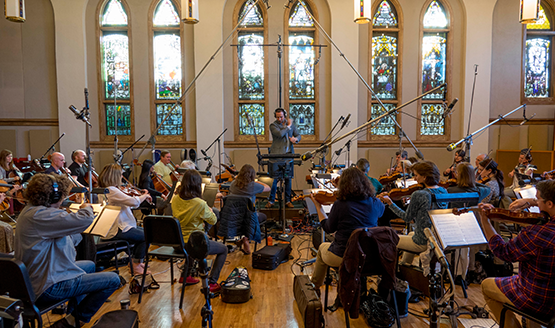 One of the people behind Knack 2 is composer Anthony Willis who wrote and recorded the Knack 2 soundtrack. “I was brought on to the project because of my background in orchestral animation and adventure films. So, I’m excited to have brought something from that aesthetic to support Knack’s story,” Willis confirms the exact feeling I got from Knack 2 when I played it. It’s a playable animated adventure film. PlayStation LifeStyle is excited to be able to work with Willis to release three tracks from Knack 2 so you can have an opportunity to hear his work outside of the game. “The Adventure Begins,” “Targun Ruins Exploration,” and “Marius’ Legacy” each give a different taste for the styles he was going for throughout the adventure. Did you enjoy these selections from the Knack 2 soundtrack? If you want to hear more of Anthony Willis’ work, Knack 2 is available now on PS4. You can see Willis’ other credits on his iMDB page.